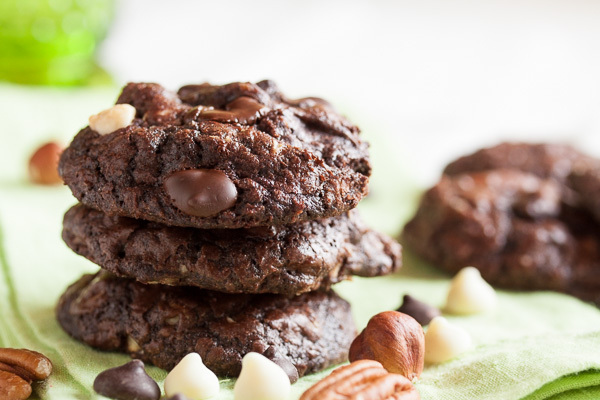 Triple Chocolate Pecan Cookies | wanna come with? I’m gonna be honest, I wasn’t really in the mood to bake this week. If you read about my troubles with finding a new apartment, you know I have an old kitty with some health issues. Sadly, she’s been having a bad few days and all my energy has been going to taking care of her. It’s also the reason you didn’t see a new post last week. She’s doing a bit better now – eating a little more, and looking a little happier. But still, it was an emotionally draining week. 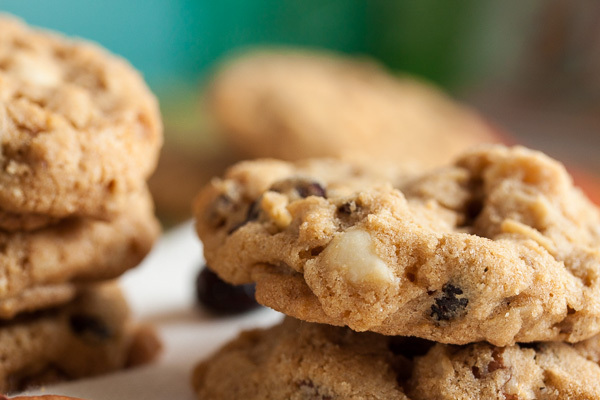 And come Sunday (cookie day for me), I was looking for something really easy to make that didn’t require any special preparation or ingredients. This cookie right here fit the bill. And let me just say, you guys are lucky I chose this one, because this is a really good cookie. 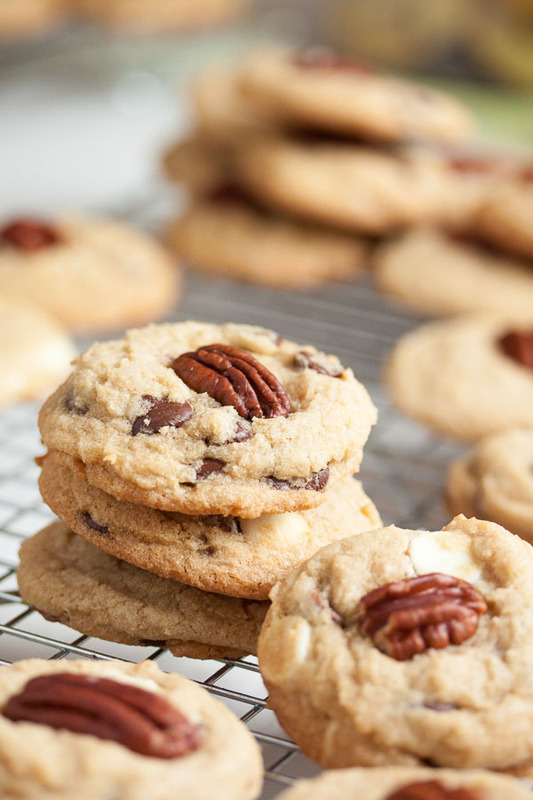 A soft chocolate chip cookie with three kinds of chocolate (and lots of it), topped off with a crunchy toasted pecan. The cookie jar was almost completely empty by the end of the first day. The original recipe specifies to use thick shavings of good quality blocks of chocolate, but I’m lazy (and I didn’t have any blocks of chocolate in my pantry) so I just used chocolate chips. But they are good quality chocolate. I can do that because I buy such large quantities that I get a better price – every time I stock up, I buy a couple kilograms of each (milk, white, semisweet, and bittersweet). Man, I go through a lot of chocolate chips! 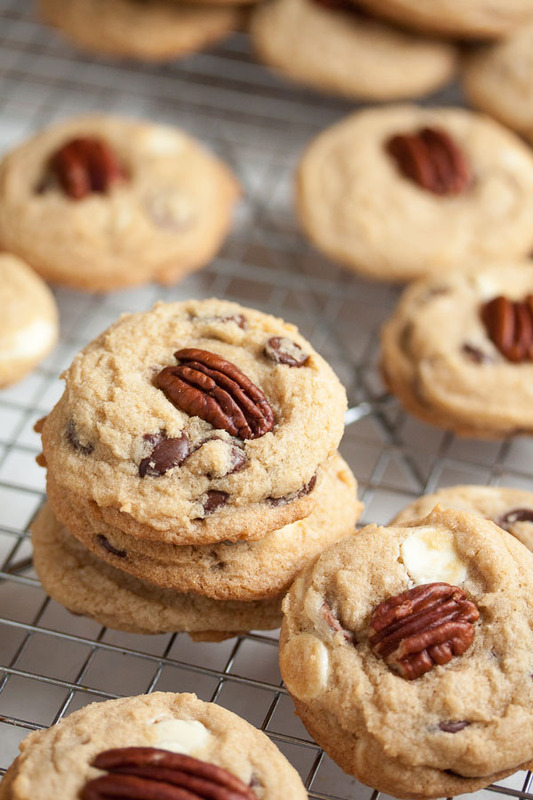 These cookies baked up just perfectly, spreading out and puffing up, beautifully golden around the edges, and soft and chewy with that contrasting crunchy pecan on top. And the flavour is fantastic. As I mentioned, the cookie jar was almost totally emptied in just one day. This was a popular one. 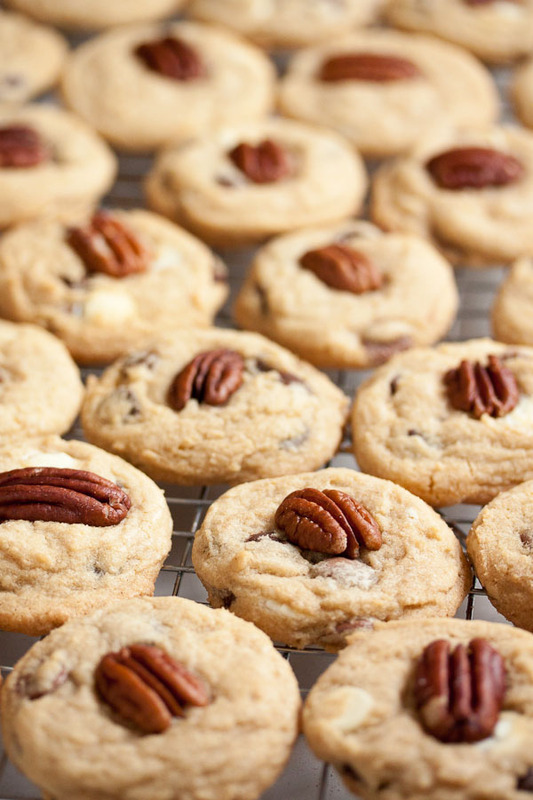 I used regular pecans for these cookies, but I think if you can find salted pecans they’d work even better. I tried a few with a bit of salt sprinkled on top, and they were amazing. I love that contrast between sweet and salty. 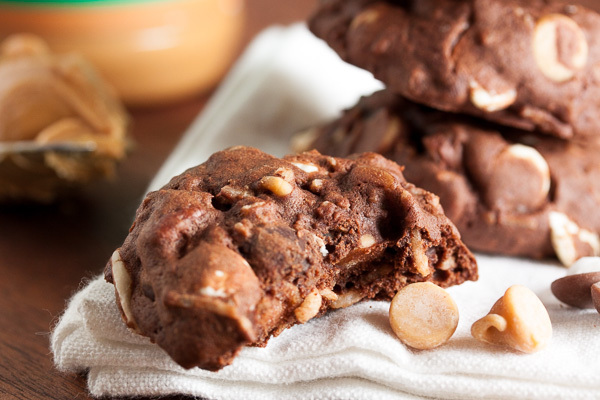 Adapted from "Triple Chocolate Chip Cookies" from Great Cookies by Carole Walter. The original recipe said it would make about 4 dozen cookies, and I got about 60 cookies using my usual slightly larger than tablespoon-sized scoop. To toast the pecans, spread them in a single layer on a baking sheet and toast them in the oven for approximately 10 minutes, turning them every few minutes or so to cook evenly. Trust your senses – they'll start to smell fragrant when they're ready. You can do this step and then set them aside to cool while you prepare the rest of the ingredients. 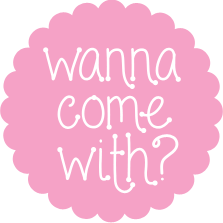 In a medium bowl, whisk together the flour, baking soda, baking powder, and salt. Set aside. In the bowl of a stand mixer fitted with the paddle attachment, beat the butter and sugars together on medium speed until light and fluffy, about 3 or 4 minutes. Scrape down the sides of the bowl and add the eggs, one at a time, beating well after each. Add the vanilla and beat to incorporate. Turn the mixer down to low and add the dry ingredients, mixing until just barely combined. Remove from the mixer and add in the chocolates either with a spatula or by hand. I prefer to knead inclusions in by hand to ensure they're distributed evenly. Using a small cookie dough scoop or by forming the dough into small balls by hand, portion the dough onto the baking sheets about 2 inches apart to allow for spreading. Press a toasted pecan into the top of each ball of dough. If you like, you can sprinkle a tiny bit of salt on each one as well. Bake for about 10-12 minutes, until lightly golden brown around the edges, rotating the baking sheet halfway through the baking time. Allow to cool on a wire rack for a few minutes before removing the cookies from the pan and allowing them to cool completely. Yesss! I have bags of leftover pecans from the holidays that have been waiting for a recipe like this. Need to make these ASAP!